Ever since the industrial revolution, the atmosphere is suffering from the evil of pollution which has brought disastrous effects to our beloved environment. Man is prone to dicing with death by engaging in activities detrimental to his own health, and spreading pollution is at the top of the list. The excessive use of fossil fuels has played a vital role in contaminating the atmosphere across the horizons and cargo sector shares half the blame, if not all. The 24/7 cargo movement means the more use of fossil fuels which end up adding more and more carbon dioxide into the atmosphere. Nevertheless, amid all the ignorance, there is a silver lining in the shape of carbon footprint awareness. Carbon footprint is basically the quantity of carbon dioxide released into the atmosphere due to an individual’s or a group’s activities on daily basis. People keep track of how much carbon dioxide they add to the environment and try to keep the number as smaller as possible. Since desperate times call for desperate measures, it is the need of the hour to keenly observe the eco-friendly practice of carbon footprint in every sphere of life and cargo sector is no exception. Below we are highlighting a few ways you can limit your carbon footprint and become a green shipper at ease. It is typical to be conscious of what is inside the box, however, it takes a compassionate mind to think about the box itself. Because what’s inside the box is something that belongs to you, whereas the box belongs to the planet you live in. Non-biodegradable and non-recyclable boxes end up in landfills where they can stay for a number of years. Recyclable boxes, on the contrary, can be used a number of times over and over again and they also help limiting the need for new boxes. Therefore, the next time you think about shipping your goods, choose the box wisely. There are a number of options you can go for, as many companies provide green boxes certified by Forest Stewardship Council (FSC), at cheap rates. 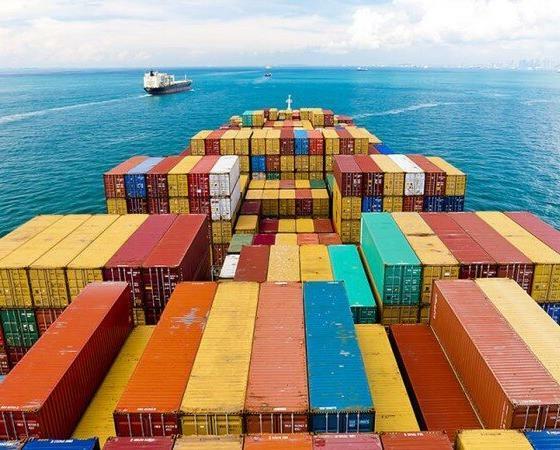 Did you know that a single giant container ship releases the same quantity of highly toxic chemicals as 50 million cars? Yes, you read it right! Are you up for another shocking news? Well, there are 52,000 merchant ships floating on the surface of the water bodies. We leave the rest of the calculation on you. As a matter of fact, the massive 109,000 horsepower engines of these gigantic ships consume a large quantity of fossil fuels in a single expedition. 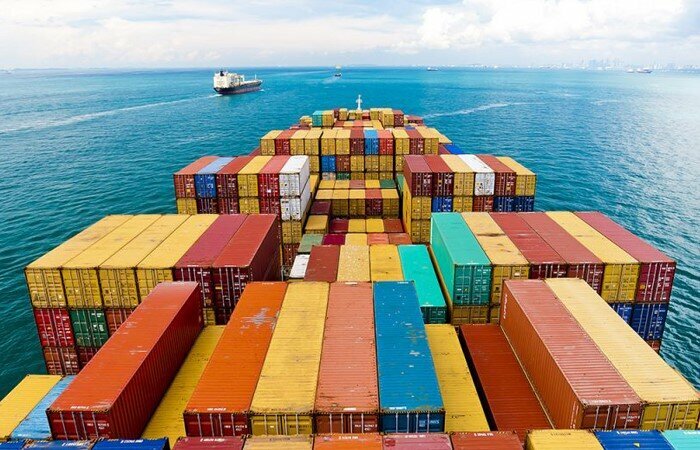 Major freight-forwarders use these ships and many of the containers go partially or completely empty. However, smaller cargo shippers are way greener for the environment in this regard. First of all, they use smaller ships with very less carbon footprint. Secondly, they send the consignments only when the ship is completely full, this way they successfully limit the fuel consumption, and in turn, carbon emissions. Opposite to the big courier companies, small cargo companies do not make a lot of ‘single journeys’. To explain it here is an example, suppose you are in UK and want to send cargo to India, you have two options. Either you can choose big brands like FedEx, DHL etc. or you can choose a small cargo company. There are many available. FedEx can be quick because they will send out a pickup truck or van just to pick up your consignment. On the other hand, small companies do weekly or monthly rounds on the routes and pick up all the consignments in one go. So you can do the maths of carbon emissions. Time has come to get rid of the conventional filling material aka Styrofoam, whose composition is quite perilous to the environment in a number of ways. Styrofoam is basically a petroleum-based product and its manufacturing process involves the production of a lot of waste by-products. Nevertheless, there are many substitutes you can employ as filling material such as fibrous packing material and Mushroom packaging. These are eco-friendly materials and also improve packaging extensively. Most of the well-reputed cargo service providers offer door-to-door and port-to-door cargo pickup service. This activity is usually carried out in pickup trucks which load the cargo from the doorstep of the shipper. Since electric and hybrid engines use very less quantity of fossil fuels, their carbon emission is very low. Therefore, if all of these cargo service providers start using electric or hybrid engines-based vehicles for the collection of goods, they can play a substantial role in the furtherance of limiting carbon footprint. There is no controversy in the fact that among all the cargo transportation modes, air freight emits the highest amount of carbon. According to a rough estimate, air transportation releases almost 40 to 50 times more carbon than ocean transportation. Therefore, unless you are in a hurry and want to get your shipment delivered at the earliest possible time, avoid air cargo. Nonetheless, there is good news for aeroplane enthusiasts, eco-Planes are in production. These eco-friendly aeroplanes will employ the latest technology for reducing fuel consumption and thus keep a limited carbon footprint. It is pretty much evident from all the discussion above that going green with your cargo can be an uphill task, but not impossible at all. It will only take a few small steps to become eco-friendly but the results will be outstanding. Cargo sector will be indebted to you tomorrow if you if you go the extra mile for it today. Eager for contributing towards the improvement and safety of the lives of billions of people? Well, go ahead! Your future-self will surely be proud of you.